In an age when we desperately need visionaries to lead the way, Elon Musk is a multidisciplinary engineer, inventor, entrepreneur and futurist with the drive to do what today’s politicians can’t – change the world for the better. There have always been visionaries and inventors, from Leonardo da Vinci and Galileo to Jules Verne, but more than anyone else today South African-born Elon Musk is the renaissance man of the hour. This is an era where we look in vain to our leaders for answers to the pressing environmental, social and economic issues that beset humanity. Decade upon decade, there is no change, no action and no transparency. We seem to be locked in an ever-increasing spiral of uncontrolled technology development that has the potential to disrupt our economic system and the fabric of society. Global warming, population growth, pollution, growing disparity in wealth and the rise of artifiial intelligence are the spectres that stare us in the face, yet they are barely addressed by those in power. What has all of this got to do with a technological entrepreneur such as Elon Musk, you might wonder. Indeed, but for one thing this North American magnate born in Afrikaans-speaking Pretoria could just be another tech tycoon like Mark Zuckerberg or Bill Gates, a ‘geek in a suit’ growing incredibly rich on new innovations in digital engineering. But Elon Musk is different. Yes, he is a technology freak and yes, he has the ambition to make his commercial enterprises multi-billion dollar success stories, but with Musk you sense that these objectives are not the goals themselves, but tools that will help him achieve his real ambitions. You see, Elon Musk is also a passionate man with a vision for the world. As much as we need visionaries, history teaches us that many of the most dangerous people in the past have been driven by ‘visions’. One person’s utopia is another’s nightmare, but what sets Elon Musk apart is that, for once, he is not seeking to create a better world by furthering an ideological agenda, but plans to use science and technology to solve many of our problems. By veering away from politics and ideology he consciously – and intelligently – steps away from that which divides us and instead applies the secular rational integrity of science. The latter is increasingly apropriated by corporations and (ab)used for commercial means, but this technology magnate seems to follow a humanistic approach that places advancement back in the popular good. A man of many talents and doubtless energy, his prime focus is on those factors relating to transport. At the heart of it is a desire to greatly advance the development of renewable energy sources that would create a sustainable cycle between demand and output capacity. A breaktrough here would represent a vital step in our relationship with the planet, and it would also greatly affect transport, which is at the very axis of human mobility and economic activity. It is in this field that Elon Musk displays the big thinking and macro view typical of the visionary, having already established ground-breaking companies in electric car and battery manufacture, transport infrastructure, solar energy, aviation and space travel. Though not all are expected to be equally successful, all are developed from an ambitious premise of wanting not just to lead and innovate industries and develop new technologies, but to actually change things for the better. A graduate in physics and economics, the academically gifted Musk subsequently abandoned plans to pursue a PhD at Stanford in favour of founding the first of many business enterprises. From a bullied teenager who taught himself how to programme computers he has gone on to found a technology-based business empire. It all started with Zip2, a pioneering online city guide that he co-founded with his brother Kimbal in 1995 and sold four years later, netting $22 million with which to launch his next venture, X.com. The latter would lead to PayPal, the secure online payment system that has taken over the world. The company was sold after three years and Elon Musk’s share amounted to $165 million.It was at this point that he differentiated himself from the typical tech magnate and founded a series of visionary companies conceived not just to earn money but to make a contribution to the world as well. Born out of the desire to reboot space travel and partly founded with $100 million of his own money, SpaceX is a developer of launch rockets that are not only cheaper but also highly innovative. It is the first commercial company to have launched a satellite into space, and its Dragon was the first commercial spacecraft to dock with the International Space Station in 2012. Though so much has been achieved in a short period of time, Musk believes this is just the beginning of a new golden era of space exploration. The best-known of all his endeavours, Tesla has done more to promote electric cars and rejuvenate the automobile industry than anyone else. What’s more, in less than 15 years it has caught the German carmakers napping and placed the hitherto floundering US car industry back at the forefront of innovation. The sleek, modern Roadster, Model S and Model X have become the darlings of Hollywood celebrities and are gaining broad popular recognition, but Tesla is also a leading supplier of electric powertrains and batteries, most notably to Mercedes. As the chief designer and CEO of the company, Musk is lauded for his open attitude in wanting to share the technology with other carmarkers in a drive to promote electrically powered cars. Just as Tesla serves as a vehicle to transform the way we drive, so SolarCity was founded to speed up the development of solar energy and the movement away from fossil fuels. In fact, the two ‘sister’ companies are working together to help achieve this. This revolutionary high-speed transportation system is not new in concept, but it was Elon Musk who created design teams tasked with producing a workable, practical foundation for what are effectively pods channeled through long-distance tubes. Though still at the prototype stage, the rapid development of this technology initiated by Hyperloop could see it economically and technically viable within less than a decade. More recent initiatives include OpenAI, Neuralink and The Boring Company, all of which reveal the same humanistic foundations that are far removed from most corporations, no matter how convincing their Social Responsibility communiques. Neuralink is a neurotechnology firm looking to develop artifical intelligence that could remedy or enhance our human capabilities, while OPenAI is a non-profit organisation that studies ways of creating artificial intelligence applications that are safe and of benefit to society. Musk is one of several leading thinkers, including Stephen Hawkins and Bill Gates, who have been voicing concerns about the potentially disastrous impact of AI on employment and our social and economic systems. The Boring Company, meanwhile, is looking at developing a tunelling infrastructure that could provide a car-based traffic solution for large urban areas the way undeground metros have done for trains. 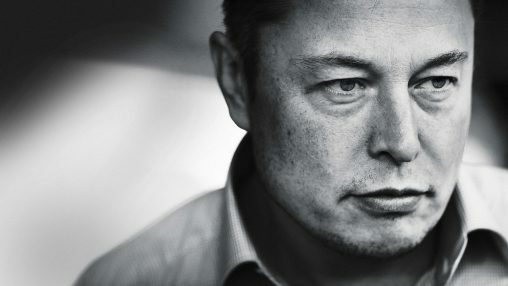 Apart from philanthropic efforts and plans to design an electric jet aircraft, Elon Musk also manages to raise emotions across the planet, and while not everyone may share his vision it is clear that, having achieved so much by the age of 46, we can look forward to a lot more innovation from one of the most far-sighted people of our time. This entry was posted on Tuesday, October 24th, 2017 at 2:52 pm	and is filed under Business and technology, Environment, Social Issues. You can follow any responses to this entry through the RSS 2.0 feed. Both comments and pings are currently closed.